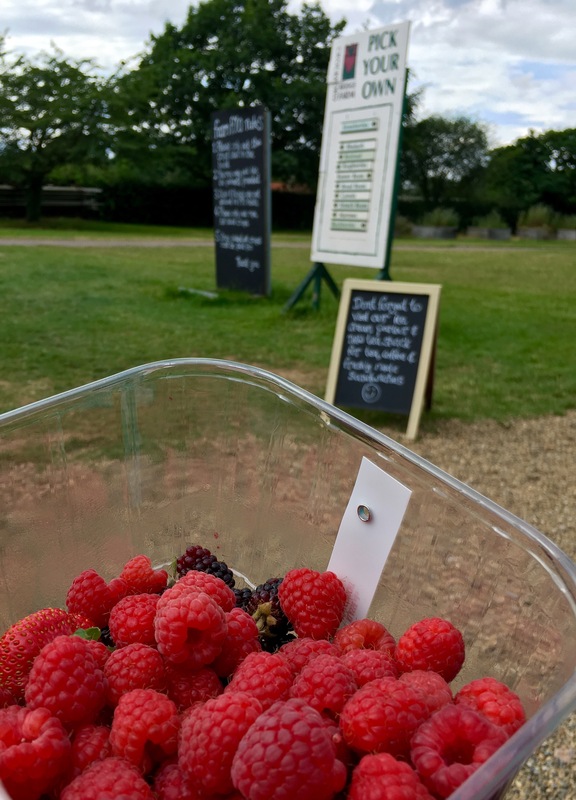 We went to a pick your own farm which was the perfect thing to do on a summers afternoon. I had been looking forward to it all week; thinking about all of the lovely puddings I could make with the fruits we would pick. I decided to make an apple and blackberry crumble and an Eton mess, which are two of my favourites! When we arrived there was a sign listing all the fruits and vegetables available and where they were. We first went to the strawberry fields and walked along the many rows but only found one strawberry! It was a good thing I didn’t plan a pudding around them. 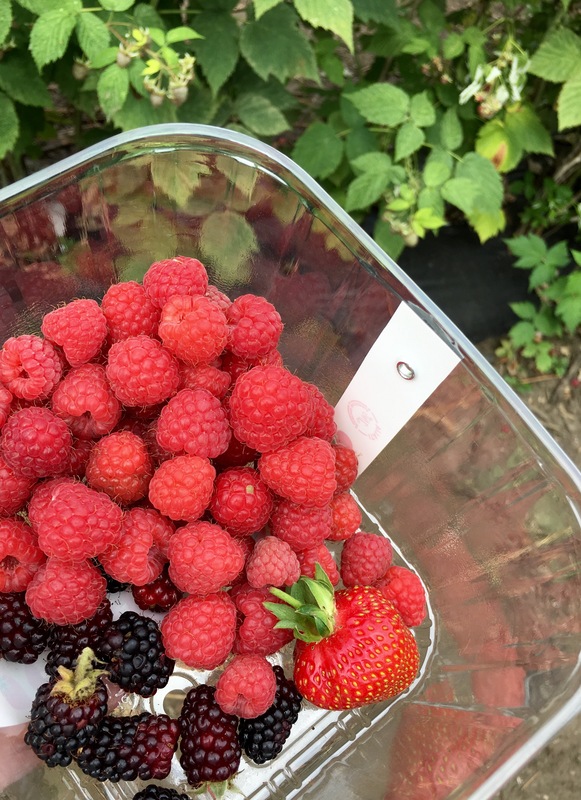 Luckily there were lots of raspberries so that was perfect for my Eton mess and we also went to pick some blackberries for the crumble. They had a lovely farm shop which was filled with delicious fruits where I bought some cooking apples for the crumble. 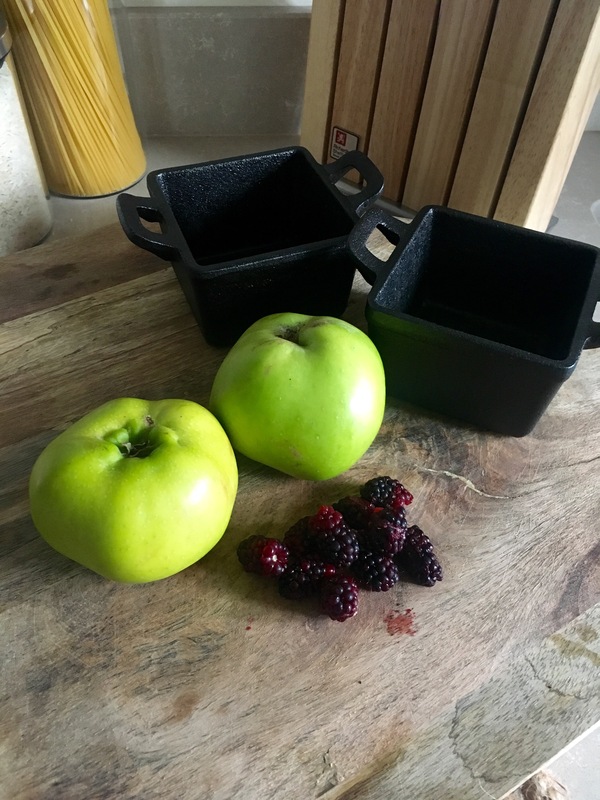 When we got home I peeled the apples and cooked them with the blackberries, I added a small amount of water and some sugar to sweeten. 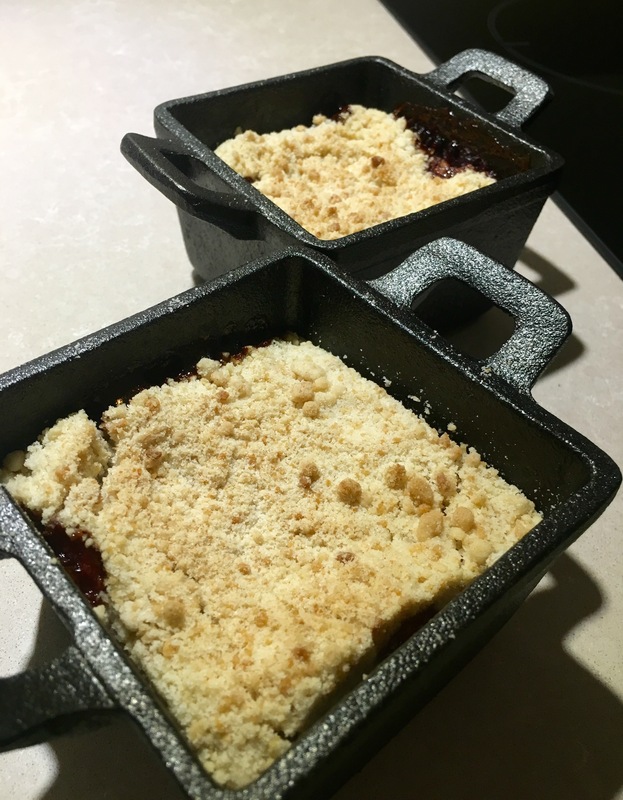 Once they were soft, I put the fruit into individual cast iron ramekins, and sprinkled a crumble mix on top. I then cooked them in the oven for about 30 minutes on a medium heat. 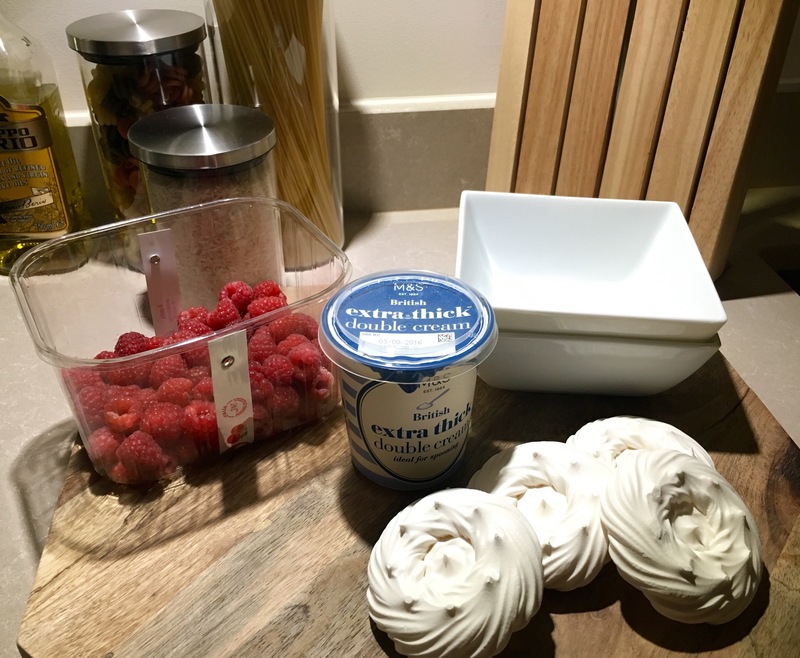 To make the Eton mess I crushed meringue nests and mixed them together with extra thick cream and raspberries. It was so simple to make and tasted amazing! I would definitely recommend visiting a pick your own farm and maybe making something with the fruits you pick the same way I did. This looks so lovely and the crumble looks amazing!